Classic! Sometimes less is more and this is one of those cases. 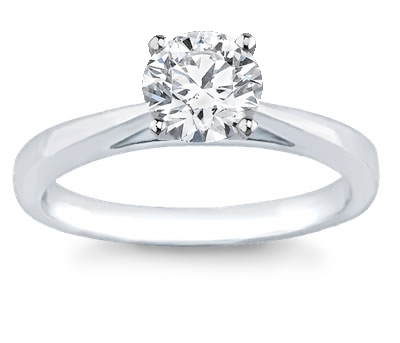 This beautiful diamond solitaire engagement ring is magnificent! 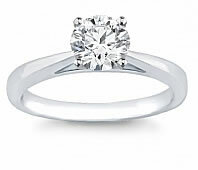 Whichever choice of metal you choose for this ring will greatly highlight the center stone.